The following article was published by the BBC on 6 March 2015 and can be found here. It has been frequently claimed that Qatar has relatively close ties, probably through intermediaries, with the Nusra Front. The Qatar foreign ministry has denied this, and proof is, unsurprisingly, difficult to find. But such an accusation has increasingly cropped up, particularly in terms of Qatar’s prolific record of resolving hostage situations in Syria. Thirteen Greek orthodox nuns, an American journalist, and 45 Fijian peacekeepers are just some who have been released in the last 18 months with Qatar’s and, it appears, often the Nusra Front’s help. In the melange of designated terrorist and jihadist groups at play in Syria and Iraq, there is a vast spectrum ranging from the deranged like Islamic State (IS) to the more moderate groups like (the now defunct) Harakat Hazm that was supported by, among others, America. Being a directly affiliated al-Qaeda group, the Nusra Front is nearer the IS end of the spectrum. Yet, while the Qatari relationship with the Nusra Front appears to be far from straightforward with some of the state’s initiatives failing, indicating some distance between the two, according to recent reports, Qatar appears to want to reform this relationship. This begs the question of why Qatar would want even loosely to associate itself with a group like the Nusra Front. Firstly, there are no “good choices” in Syria today. Qatar has surmised, it seems, that supporting or transforming the Nusra Front, is one of the “least worst” options. Secondly, the Nusra Front has pledged to concentrate its efforts on removing the Bashar al-Assad government, as opposed to attacking the “far enemy” (ie Western states). On this point, the Nusra Front is aligned tightly with Qatar, which also is implacably against the government and fundamentally believes that the situation in Syria will only improve if he is removed. This idea is also reflected in the Nusra Front’s composition, which is far more Syrian-dominated than the foreign jihadist-magnet that is IS. 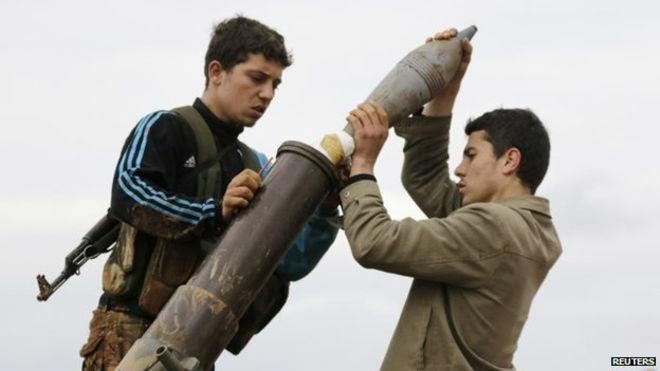 Thirdly, with this goal in mind, and perhaps most crucially, the Nusra Front group is widely seen as one of the most effective groups operating in Syria against a wider backdrop of splintered groups whose powers are highly limited. The potential creation of an effective fighting force against IS (or the Syrian regime) is a significant draw for Qatar. Fourthly, Qatar possesses a small, young foreign ministry and it does not have a foreign intelligence service. Though far from alone on this issue, the state struggles to map the dynamic conflict and finds it difficult to plot the shifting actors. Instead, it seems that Qatar prefers to continue to support the people or groups with whom it already has relations. As the conflict inexorably deteriorated and groups became more and more extreme, it seems that Qatar, unable to chop and change support easily and wanting to retain relevance, maintained relations with its contacts in Syria, some of whom appear to have close affiliations with the Nusra Front. Nevertheless, the low-level Qatari contacts with this group (if, indeed, they do exist) are not sufficient to turn the tide in Syria, and rumours of such existing contacts have added fuel to the media frenzy that has alighted on Qatar and its allegedly nefarious links in recent years. This is why Qatar is hoping to bring the Nusra Front in from the cold. If the state can get the group to eschew its al-Qaeda affiliation and adhere to a broadly moderate Islamist platform, Qatar can officially commence, with Western blessing, the supply of one of the most effective fighting forces in Syria. Not an easy sell, but the promise of Qatar supplying a potential tsunami of support will prove to be a powerful negotiating tactic. Once again, the silence from Doha on this matter encourages speculation inferring that Qatar has some kind of a genuine sympathy with the goals of the likes of the Nusra Front. But the fact remains that Qatar is a key Western ally. It hosts a critical US military base, it grafted US and UK higher-education institutions and ideas onto its education system, and has long promoted the Middle East’s most visible and powerful woman, Sheikha Mozah bint Nasser al-Missned, the Emir’s mother. These are transparently not the policies of a state with sympathies for the likes of IS or al-Qaeda. Indeed, there is no chance that Qatar is doing this alone: the US and UK governments will certainly be involved in or at least apprised of Qatar’s plans. And, with increasing desperation in the face of IS and Bashar al-Assad’s resilience, a reformed, effective fighting force would be welcomed by the West. Indeed, the UN special envoy to Syria, Staffan de Mistura, recently said that he would speak to anyone, including the Nusra Front, in the effort to save lives. Qatar is not the first state to reason that it is time to talk to groups that are unpalatable and extreme, but who are, nevertheless, influential. But the ultimate judgement on this emerging policy will rest on how well Qatar can manage this transition and if this new fighting force can alter the balance of power. The recent assassination of the Nusra Front’s central military commander, Abu Hammam al-Shami, in Idlib, Syria, indicates the fluid nature of the conflict. Whether he was killed because of an internal disagreement about the putative negotiations to eschew the Nusra Front’s al-Qaeda affiliation or not, this assassination indicates the daily changes at the tactical level that can have potentially profound strategic effects. In such a changeable, fractured operating environment, Qatar will not be able to engineer a clean break of the Nusra Front from al-Qaeda. But, in a context where the best that can be hoped for is the “least worst” solution, Qatar’s plan is as viable as any other.